New Hampshire was one of the USA's original 13 states, and has maintained a significance out of proportion to its size by being the first state to hold presidential primary elections. It has some of the most beautiful natural scenery in New England, Contributor PO3Smith used a DJI Phantom 4 Pro to make a beautiful aerial tour of the Granite State, including footage of Mt. 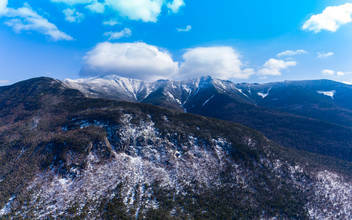 Washington and Frankonia Notch State Park. Description: Pushing the limits of a phantom 4, Filmed between 4 and 4,800 feet, in this trip (cut short due to a trip to the local ER) I take you around New Hampshire's white mountains, Mount Washington (the highest mountain east of the Mississippi river...and Frankonia Notch State Park.